Edward and Matilda Shepherd nee Lynn had seven children: Jane Elizabeth, Edward, Thomas Chaffe, Robert James, Phoebe Emily, John Finlay William and Matilda Catherine Shepherd. Born at Donald in 1866, Jane Elizabeth (pictured on the left) married Martin Ryan, the son of Denis Ryan (1840-1906) and Bridget Hayes (1838-1915), at Wycheproof in Victoria in 1889. Both Dennis and Bridget hailed from County Tipperary in Ireland. Bridget sailed to Australia in 1856 and spent her early days in the Melbourne suburb of St Kilda. She married Denis, who had arrived in Australia the year before and was working as a labourer, at Prahran in 1862. After their marriage they moved to Ballarat East where we think Dennis worked as a miner and he and Bridget had their five children: Martin (born in 1863), Mary Ann (1866), Michael John (1867), Julia Ellen (1869) and Margaret Ryan (1873). In 1874 Denis leased a 280-acre block of land at Corack East (the block adjoined that of another Irishman Pierce Stakelum whose daughter would marry Michael James Hogan at Donald in 1914 - see below). Three years later Denis leased a second, smaller block located to the east of the Corack township. It seems they sold up around the turn of the century and moved to Geelong where, at the time of the 1903 election, Denis, who was said to be of 'independent means', and Bridget were living in a residence they named 'Corack' on Sydney Road in Geelong. Denis died there 'a gentleman' on 19 January 1906. There were great expressions of regret when it became known thet Mrs Martin Ryan, of Thalia, had passed away on Saturday morning, April3, aged 60 years (says the "Wycheproof Ensign"). Only a few days before her daughter had driven her to Wycheproof by motor, when she appeared to be in the best of spirits and quite cheerful, and it was with great surprise her many friends heard of her sudden demise on Saturday morning at 7am. Quite recently she left the Wycheproof Hospital after having gone undersuccessful operations for the removal of both her limbs by Dr W. Wall. For 16 years she has been an invalid, and during all those years has borne her affliction with a courage and fortitude which has won the admiration of her many friends. Mrs Ryan who was the eldest daughter of Mr Shepherd, was born in Donald in March 1866. The youngest sister, Mrs Jas Whelan of Wycheproof, still survives her. She retained a wonderful memory, and could give a vivid account of the early pioneering days and experiences with the natives. Jane's husband, Martin Ryan, who died at Thalia two years after his wife, was probably more a person of action than reflection, someone who thrived on success and power and, as such, could make enemies as well as friends. He was a prominent local landowner who was prepared to represent the region's farming and rural interests. He was sufficiently wealthy to undertake the training and racing of thoroughbred horses. And, as we will see, he seemed to be more of a distant and rather stern patrician than a loving parent, especially the family's younger sons who were under his charge. General regret was expressed when the sad news became known that Mr. Martin Ryan, a very old and respected resident had died suddenly on Tuesday evening at Thalia. The late Mr. Ryan had been to the Wycheproof stock sale and had returned in the evening to his home where he was found dead in his car. The deceased gentleman was very highly respected in the Thalia and surrounding districts and well known throughout the Mallee. At the time of his death he was 65 years of age. Ever since his arrival in the Thalia district (from Ballarat some 52 years ago) he had carried on farming pursuits successfully and was a large landowner there. In his younger days he was very prominent in cricket, football and other sporting circles. He took a deep interest in agricultural pursuits and was always a prominent figure in the local agricultural shows. His wife pre-deceased him some 2 years ago. Three sisters and one brother mourn his death. The sisters are Mrs. D. Hennessy (Geelong), Mrs. Austin Dillon (Thalia), Mrs. D.P. Sheahan (Narraport), Mr. M.J. Ryan is the brother. Eight sons and five daughters mourn the demise of a fond parent. They are - Denis and Edward (Nullawil), Martin, Michael, James, Robert and Henry (Thalia), and Frank, of the Christian Brothers, Mittagong, near Sydney. The daughters are Mrs. James Noonan (Karyrie), Mrs. I. Hommelhoff (Birchip), Mrs. Dowe (Elmore) and Matilda and Bridget (Thalia). What Martin's obituary neglected to tell its readers was that he died in very unusual and suspicious circumstances, circumstances sufficient to warrant an inquest which was held in the Wycheproof Court House on 14 March 1928 before a Mr G. Anderson JP who was assisted in the conduct of the inquiry by a local magistrate F. W. House. Before a packed court room the facts and events surrounding Martin's 'tragic death', as it was labelled by many of the newspapers that reported on it, were laid out. On the day of his death Martin had driven in his car to Wycheproof. Since an earlier bout of illness he was usually chauffered or accompanied on such trips by his daughter Matilda. On this occasion, however, he drove into town alone. Austin Edward Dillon, a farmer of Thalia, had seen Martin in Wycheproof on that evening and judged him to be 'in his normal health and good spirits'. A second farmer, Martin John Dillon, who also saw Martin in Wycheproof, reported that while Martin 'had had a few drinks, he was quite sober'. Martin Dillon and another farmer, Angus Currie, saw Martin's car driving back towards the Ryan farm around 10.30pm that evening. One said the car was going 'very fast', the other thought it to be travelling around 40 to 50 miles per hour. Three of Martin's sons - Martin, James, Robert and Harry Ryan - as well as his daughter Matilda were then living at the house. All said they did not hear Martin's car return from Wycheproof. At 8.30am the following morning Martin's son Robert, rode up to where his brother, Harry, was working and tearfully told him: 'The old chap has shot himself in the car, and it is your gun' (a shotgun which was usually standing the kitchen and had recently gone missing). Harry went to the garage and found his father slumped forward in the driving seat of the car with a gunshot wound to the back of his head. After being informed of what had happened, the boys' older brother, Michael Ryan, drove to his father's house and walked down to the garage. There he found the stock of the gun resting on the back seat and the 'muzzle leaning on the back of the front seat, about six inches away from the wound in his father's head'. He returned to the house and asked if anyone had touched anything in the car and was told or got the impression they hadn't. He returned to the car where he noticed its ignition switch was still on and the battery was flat. The police officers who investigated the shooting, the local doctor who attended the scene and a number of other witnesses provided more details of, and possible contexts for, the shooting: Martin had died instantly at around midnight and in the garage on his farm not somewhere else; he did not commit suicide but was murdered; the witnesses who had seen Martin in his car earlier in the day had no recollection of seeing a shotgun; Martin was said to have recently had an argument over money with his son Robert (an assertion that was not shared by Robert's siblings); and he was in the process of changing the terms of his will. The police investigating the murder, believed the culprit was Martin's son Robert who had initially claimed he had seen neither the body nor the shotgun yet had told his brother, Harry, his father had been shot by Harry's weapon. Later, after earlier telling the police he had touched neither the car nor the shotgun, in the process of having his fingerprints taken, he admitted he had 'picked up the gun, and said, "Good God", it is our own'. He repeated this position in his final statement in which he also said his brother Jim had found the body and asked Robert to help him start Harry's car so he could go and report it to the police. It was after Jim had driven off that Robert wnet into the garage and informed Harry (and later Tilley) of Martin's death and the shotgun in the car. Robert's statement also described how his father had, in 1924 or 1925, 'gave me a start by putting in 50 acres of crop, and I was to have the proceeds to assist me to get more seed and put in more crop. I made about £250 from that 50 acres, and I spent the monev bv paying debts and drinkiug. At present there is about three shillings to mv credit in the bank. My father was against me for spending the monev and not staying at the farm and working it the same as the other boys'. The solicitor representing Robert, a Mr Brennan, submitted to the inquiry that 'no motive bad been shown why Robert Ryan should murder his father. There was no evidence to connect him with the tragedy. [and] The theory of accident had not been eliminated'. After a brief adjournment and consideration of the evidence, the presiding magistrate ruled otherwise, finding 'death was caused by a gunshot wound inflicted by Robert Lyn Ryan, and that he did kill and murder Martin Ryan'. He then committed Robert to be tried at the Bendigo Supreme Court on the 15th of April. After condideration of the case, Victoria's prosecuting authorities agreed with the defence solitor and withdrew the charge. A month later Martin's family offered a reward of £500 for information which would lead to a conviction of the person or persons involved in his murder. An, admittedly, cursory review of the newspaper record has provided no evidence that the reward offered delivered any leads much less convictions. Meanwhile, life, as it does, continued on. According to the Horsham Times, in May 1930 Robert Ryan became engaged to a Miss Kathleen Williams of Horsham, daughter of the late Mr Williams of Birchip (we have found no record of them marrying). In May 1931, Martin's second eldest son, Edward Thomas Ryan, was appointed the administrator of his father's estate and two parcels of land, Allotments 37 and 37A in the Parish of Boorong, were put up for immediate sale. Over the ensuing years, more and more of Martin's estate was sold off including, in 1935, 1325 acres of Thalia land to a Mrs F. Holmes of Ascot near Ballarat. from the trainer [as] Jimmy was the normal jockey'. From Flickrs' Wycheproof History Photos series, the photo on the left is of Denis Ryan (1840-1906) and his wife Bridget Hayes (1838-1915). of their brother Henry Clifford ('Harry') Ryan at Birchip in 1965. L/R: Edward, James, Francis, Emily, Michael, Gladys, Margaret and Bridget. Robert White tells us that Jane and Martin had thirteen children, eight of whom are pictured in the above photo which was taken in 1965. As described below, these have provided them with 76 grand children who are spread throughout Victoria and beyond. 1) Born at Wycheproof, Emily Frances Ryan (1889-1967) married Michael Patrick ('Jim') Noonan (1887-1964), there on 15 June 1913. Jim was the eldest son of Patrick Edward Noonan (1854-1936) and Catherine Ann Scanlon (1857-1945) who were married in Victoria in 1889 and had twelve children in addition to Jim including: Julia Mary Barry (1883-1952), Catherine Anne Coffey (1885-1976), Eileen May (1890-1935), Maud Ellen Noonan (1891-2), Mary Josine Noonan (1891-2), Francis Simon Noonan (1893-1968), Dorothy Kathleen Hogan (1895-1965), Evelyn Nora Hughes (1897-1980) and Gladys Veronica Clohesy (1900-80). His obituary in the Melbourne Advocate (14 January 1937) tells us Jim's father was 'the eldest son of the late Simon and Nora Noonan, of Corack . . . He first selected land at Karyrie some fifty years ago, carting his first wheat over 60 miles to St. Arnaud, then the nearest station . . . He took an active part in all surrounding sports, being president of the Birchip Racing Club for many years, also president of the Birchip Plumpton Coursing Club'. Jim's mother, Catherine Noonan, spent the greater part of her life at 'Shannon Vale', the family's property at Nullawil, and Birchip where she was well known and highly respected. The death on May 24, at Kerang and District Hospital of Michael Patrick (Jim) Noonan, was received wih great regret throughout the district. Mr. Jim Noonan, who first found fame in the world of sport and later became one of the best judges of stock in Northern Victoria, was born at Birchip 77 years ago, where he farmed land until during drought years he purchased an irrigation property at Dingwall and later retired to Kerang. Football and tennis eere but two of the sports that he was very prominent in. He was a very keen race-horse owner, winning over 30 races with his champion "A.B.". He was a committee man and an official of the Birchip District racing Club. He was always a very energetic worker in church affairs, and all district social events. He leaves a widow, Emily Frances, and ten children, Martin, Patrick, Desmonds, Jeanne (Mrs. John Rickard), Greg, John, Owen, Marie (Mrs. B. Tasca), Kathleen (Mrs. G. Taylor), Brian, and 32 grandchildren to mourn their loss. Emily Frances Mary Noonan nee Ryan died at Kerang three years later. Robert Shepherd's 'Shepherd Family Tree' on Ancestry tells us she and Jim had ten children: 1) Martin James (1914-90); 2) Patrick Edward (1915-2003); Desmond Joseph (1917-97); Jeanne Elizabeth Rickard (1919-2000); Gregory Francis (1922-2000); John Alphonsus (1924-2012); Francis Eugene (1926-2012); Brian Graham (1934-2004) and two others. Between them these provided their beloved parents with at least 40 grandchildren. About seven years ago the deceased, through falling from a wheat waggon, suffered serious injury, and it was necessary to amputate his right arm. Then, twelve months ago, he was thrown from a buggy, and as a result of the injuries to his arm, another serious operation was necessary, and since then he had been under medical attention until his death in the Melbourne Hospital. Especially during these recent months, the deceased had much suffering, which was always borne with the greatest fortitude. Living in the Birchip district all his life, he was well known as a splendid young fellow and a most earnest and practical Catholic. Previous to his first accident, Mr. Noonan played football for both Birchip and Narraport, and out of respect for his memory all football matches for Saturday were postponed - a tribute appreciated by his relatives. Last May, when he was quite unable to attend to farming operations, a huge working bee was organised, and as a result of the effort about five hundred acres of wheat were sown, and since his death a second working bee was held and good service rendered . . . The Rev Fr Hussey officiated at the graveside. Also a special Mass was celebrated on Saturday morning at St Mary's Church. The coffin-bearers were Messrs Bernie and Jim Noonan, Martin, Dan and Denis Sheahan, and Denis Ryan. The Australian electoral rolls show Denis living with his parents at Thalia at the time of the 1914 and 1919 elections. He was still there in 1924 together with his wife Elizabeth Ellen Ryan (nee Noonan). The rolls for 1931 and 1936, the year of Denis' death, show him as a farmer at Nullawil while Elizabeth was still at Thalia. The 23 December 1936 edition of the Age newspaper informed its readers that a' Mr Denis J. Ryan, a former well-known district sportsman and a member of Narraport football team, has died following an operation. Deceased was 48 years of age'. While we know that Denis died in Melbourne, unlike in the case of his brother-in-law, we know neither the cause nor the circumstances surrounding his death. Nor have we been able to determine with any certainty Elizabeth's whereabouts after 1937 other than her death in the Melbourne suburb of Essendon in 1984 and the fact she and Denis are buried together in the Wycheproof cemetery. Robert White tells us that Denis and Elizabeth had six children: 1) John Ryan who married June Heagney and had six children; 2) Kevin Ryan who married Mary Mangan and had a boy and a girl; 3) Gerald Ryan; 4) Therese Joan Ryan; 5) Maurice Ryan who married Claire O'Brien and had two girls; and one other. 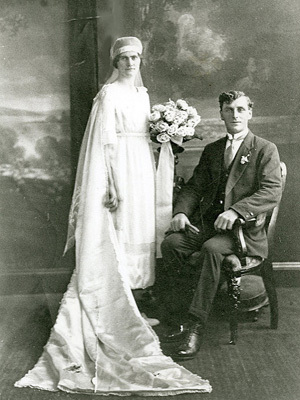 From the 'White Family Tree' on Ancestry, the photo on the left is of Emily Frances Ryan and Michael Patrick ('Jim') Noonan on their wedding day. That on the right shows Denis John Ryan and his wife-to-be Elizabeth Ellen Noonan.
. . . passed away at the Birchip private hospital . . . the immediate cause of death being due to pneumonia and other complications. The late Mrs O'Keefe was the second daughter of the late Mr and Mrs John A. Sheean, of Birchip, and was born at Ballarat in July 1872. Over 20 years ago, deceased came to Birchip, and some I8 years ago she married, and has since resided at Karyrie. A sad feature of the death is the fact that deceased leaves a family of nine children, the eldest being 17 years of age, and the youngest (twins) aged two years [one of the twins, Patrick O'Keefe, died in the same hospital three years later] . . . In addition to the husband and family, deceased leaves seven brothers and two sisters (Mrs John Coffey and M. O'Keefe) and two step brothers (Birchip Advertiser and Watchem Sentinel, 28 April 1915). His obituary, published in the Birchip Advertiser and Watchem Sentinel on 16 October 1895, tells us that Margaret's maternal grandfather, John Andrew Sheean, 'was a native of Newfoundland, U.S.A [actually Canada], and arrived during the Eureka Stockade troubles. He selected in the Wooroonooke district in 1870, where he resided until 1883, when he took up land at Karyrie . . . He was married twice and leaves a wife, nine sons and three daughters to mourn his loss'. 1) Martin Mervyn Ryan (1921-93). Born at Wycheproof, Martin served in the Royal Australian Air Force from April 1942 until May 1946 at which time he was a Leading Aircraftman in 113 Air Sea Rescue Flight. He married Doris Jean Mortenson (1924-86), daughter of Lauritz August Mortenson (1893-1965) and Florrie Martha Bish (1893-1982), in Victoria in 1949 and farmed at Nullawil until his retirement in the late 1980s. He and Jean both died at Nullawil, she in 1986 and he in 1993. According to Robert Shepherd's 'Shepherd Family Tree' on Ancestry, they are buried together in the Wycheproof cemetery, their gravestone telling us they are the 'Mother and father of Sue and Marita [and] Adored Nanna and Pa Pa of Peta, Sandy, Anthony, Ryan and Terry'. 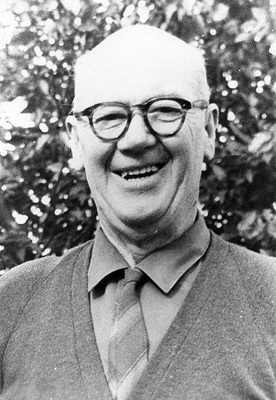 2) Carmel Agnes Ryan married Francis Edward ('Frank') Ryan (1925-2007), a farmer at Nullawil and later Wendouree, a suburb of Ballarat in Victoria where he died in 2007. Carmal died there four years later. Her tribute, paublished in the Herald Sun on 30 June 2011 tels us she was the ' Beloved wife of the late Frank. 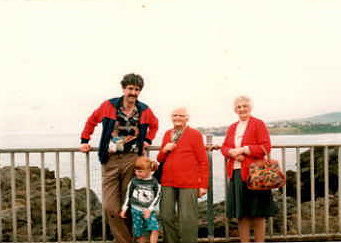 Loved and devoted mother of Denis, Kathleen (Mulquiny), Claire, Elizabeth (Whitney), Gerard and Fiona. Fond mother-in-law of Veronica, Laurie, Len and Merise. Loved grandmother of Patrick and Anthony Ryan; Tracey-Lee and Luke Mulquiny; Amanda, Siobhan and Michael Whitney; Sarah and Rachel Ryan. [Laurie Mulquiny is the eldest son of Mary Josephine Credlin and Kevin Patrick Mulquiny who were married at Wycheproof in 1952 - see below]. 3) Bernice Lorraine Ryan(1939-2014) married Brian Leonard Stahl in Melbourne in 1961. The Australian electoral rolls show them living in the Melbourne suburb of Oakleigh in 1963 (Bernie was then working as a mothercraft nurse and Brian as a hairdresser), North Dandenong in 1967 and, from 1968, Hastings on the Morning Peninsular. Thr Ryerson Index shows that Bernie died at hastings in 2014. Her obituary in the Herald Sun tells us she was the 'Devoted wife of Brian for 53 years. Loving mother of Catherine, Gabrielle and Justin. Fond mother-in-law of Bruce, Stephen and Karen. Most adoring and loving Grandmother of Luke, Bridie, Jack, Matt, Jayden, Tahlia, Kye, Attika and Jakeb. Remembered always for her lovely smile, welcoming and compassionate heart and tireless love for her family, friends and all those who crossed her path during her journey through life. STAHL. Bernice. Dearly loved sister of Anne (dec) and sister-in-law of Len (dec). Loved aunt of Leanne, Neville, Toni, Dale and families. 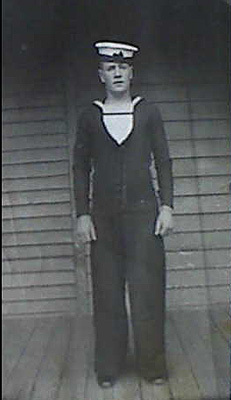 STAHL (nee Ryan). Bernice Lorraine of Hastings Younger sister and sister-in-law of Margaret and Tom. Aunty to Michael, Loretta, Terry, Maree, Brian and Geoffrey and their families. STAHL. Bernice. Dearly loved sister of Carmel (dec) and sister-in-law of Frank (dec). Much loved aunt of Denis, Kathleen, Claire, Elizabeth, Gerard, Fiona and families' (23 June 2014). 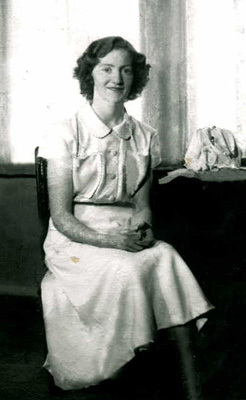 4) Anne Therese Ryan (1937-2014) married Leonard James ('Len') Hogan (1937-2012), a contractor from Nullawil, in 1961. The Australian electoral rolls show tham living at Nullawil in 1963 and 1967/8 and nearby Quambatook in 1972 (Len was then working as a stock agent). Sometime after this they moved to Balmoral in the Western District of Victoria where Anne died in 2011 and Len a year later. His obituary published in the Herald Sun on 17 February 2012, tells us Len was the 'Dearly loved husband of Anne (dec), loving father and father-in-law of Leanne and Neil; Neville and Di; Toni and Jim; Dale and Leanne. Loved 'Len' to his grandchildren Ben, Bridie and Mick; Daniel, Lucy and Elly; Jemma and Tessa; Amelia, Flynn and Jed and great grandchildren River, Indy and Cullen . . . [and that his] yarns will live on forever'. 5) We believe Margaret Kathleen Ryan married Thomas Elliott, a farmer from Nandaly (near Sea lake in Victoria). They lived at Nandaly until 2005 when she and Tom moved into Sea Lake. The obituary, cited above, for Margaret's sister, Bernice Stahl, suggests she and Tom had six children. From Flickr's Wycheproof History Photos series. 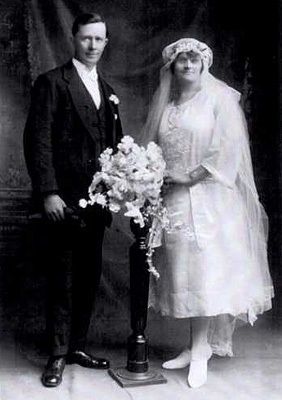 Martin Joseph Ryan (1894-1954) and Annie Elizabeth Hogan (1895-1990) on their wedding day. (centre of the rear row and third from the right in the centre). The residents of Wycheproof and neighbouring districts were shocked and deeply grieved to learn of the tragic death of Mr. Martin Joseph Ryan, aged 59, who was accidentally killed on Saturday morning, May 22. The deceased lived all his life in the Thalia district and was a very successful farmer. His quiet, unassuming nature endeared him to all that knew him. In his early life the deceased was a prominent player and captain of the Narraport football team and has followed the game with keen interest ever since. The late Mr. Ryan is survived by a sorrowing wife (Annie) and four children, namely, Joan (Mrs White), Pauline (Mrs L. Loughran), Con and Leon. One daughter, Maydie, predeceased him. the deceased was the son of the later Martin and Jane Ryan, brother of Denis (dec'd), Emily (Mrs J. Noonan), Edward, Margaret (Mrs. Doyle), Michael, James, Matilda (Mrs. Lindner, dec'd), Bridget (Mrs. Schultz), Robert, Henry, Gladys (Mrs. Hommelhof) and Francis. The esteem in which the deceased was held was shown at the large attendance at mass in St. Michael's Church and afterwards by people in over 150 cars who followed the cortege to the Wycheproof Cemetery. Prayers were read at the graveside by Father McDermott, assisted by Fathers Mulcahy, Harney and Shepherd. Coffin bearers were Messrs. Mick, Jim, Harry, Frank (brothers), Con. Hogan and Jack White. Pall bearers were Messrs. T. Ison, J. Cummins, D.P. Keane, A. Brennan, A. Kennedy and J. Molloy (Birchip Guardian, 3 June 1954). Martin and Annie's eldest daughter, Mary Theresa ('Maydie') Ryan (1924-37) died at Thalia in 1937 after being struck in the temple by a stone thrown during a game. She was just 13 years old. Their second daughter, Pauline Ryan (1932-2006) - who is pictured on the left - married a farmer from Lalbert, John Bookham ('Jack') Loughran (1926-2010), in 1952. Jack was the eldest son of John Daniel Loughran (1892-1964) and Ellen Mary Bookham (1895-1966) who were married in 1925. His great grandparents, Peter and Mary Loughran nee Nash, hailed from Ireland (Mary from Dungannon in Northern Ireland's County Tyrone), arriving in Victoria in the 1860s. They and their family, comprising two daughters and five sons - John, James, Michael, Francis and Peter Loughran - pioneered land at both Mount Wycheproof and near Lalbert where Mary died in 1916. Peter died in 1933 at Downside, a farming community north west of Wagga Wagga in NSW, where his and Mary's daughter, Mrs S. A. Donohue, was living and to where Peter moved after his wife's death. Jack's grandfather, John Loughran (1858-1938), married Margaret Powell (1857-1912) in 1891. They had four children we know of - Jack's father, John Daniel, Mary Margaret, Peter Dennis and Sarah Ann Loughran - before Margaret's death in 1912. John and his brother, James Loughran, settled on land near the Cokum Tank in the Parish of Tittybong. 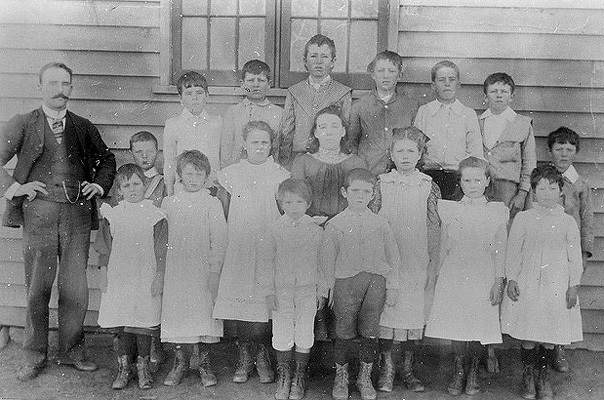 Along with a number of other farmers, they pressed the Victorian Department of Education to establish a school in the area. 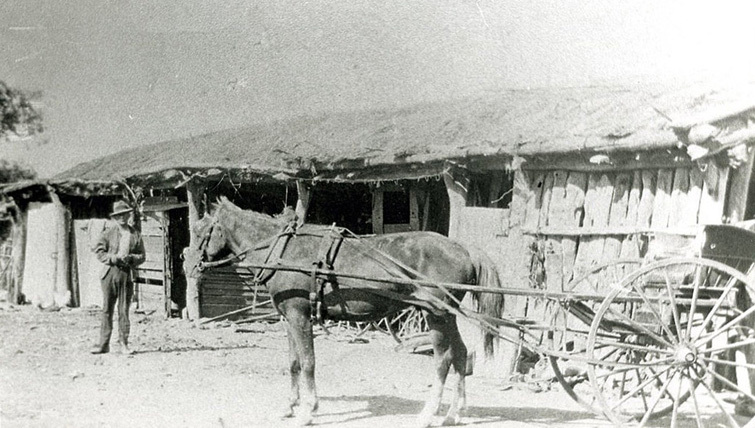 A suitable building was eventually identified, carted by horse and wagon from Bungeluke North and erected by the locals on the Cokum Reserve. The year before the school's opening in 1926, James Loughran was killed near Chewton where he fell from a train while travelling from Bendigo to Melbourne with his brother Michael. Apparently they were on their way to their sister's residence in Queensland. John and Margaret Loughran nee Powell both died at Lalbert, she in 1912 and he in 1938. They are buried in the Roman Catholic section of the local cemetery along with their son Daniel Edward Loughran (1870-1906) and granddaughter Loreto Loughran who died as an infant in 1932. According to the Melbourne Argus, probate from John's will was granted to his daughter, Mary Margaret Mullan, and son, John Daniel Loughran (Jack's father). According to Jan and Janine Power's Lalbert Reflections, Jack was enrolled at the Cokum Reserve School in 1932 (along with an Ellen B. Bookham). Two of his sisters, Margaret and Dolores Maiella Loughran, were enrolled in 1936 and 1938. Between 1959 and 1970 Jack and Pauline's six children - Brian John, Geraldine Anne, Keiran Martin, Peter Anthony, Daniel Francis and Yvonne Loughran - plus two daughters of Mary Margaret Mullan nee Loughran - Gladys Carmel and Kathleen Valerie - were also enrolled at the small country school (which closed in 1979). Jack and Pauline lived all their married lives at Lalbert, she dying there in 2006 and he in 2010. The tribute to Jack, published in the Herald Sun on 22 November 2010, tells us he was the 'Loved husband of the late Pauline. Loved father, father-in-law and Grandad of Brian and Rosy (dec), Stephen, Emma and Rhys, and Michael; loved father, father-in-law, Grandpa and Great-Grandpa of Geraldine and John, Nicola and Brian, Ashley, Belinda and Rylee; loved father and father- in-law of Kieran and Meg; loved father of Peter; loved father, father-in-law and Grandpa of Danny, Lucy and Michelle; loved father of Yvonne'. 5) Margaret Ellen Ryan (1895-1984) married Korong-born William Thomas Doye (1892-1963) in 1922. William, who was born at Korong Vale in Victoria, was the eldest son of Charles Frederick Doye (1860-1952) and Margaret Streair-Vanderbist (1856-1934) who were married in 1887 probably at Korong Vale although that has not been confirmed. The 'Scott Family Tree' on Ancestry tells us Charles' parents were Charles Doye, born at Epping in Essex in 1833 and died at Eaglehawk in 1910, and Lucy Hanks, born at Chelsea St Luke, Middlesex in 1835 and also died at Eaglehawk in 1910. Ancestry's record of Assisted and Unassisted Passenger Lists show Charles (24), Lucy (21) and their infant daughter Amelia travelled from Liverpool to Melbourne on the sailing ship the HERALD OF THE MORNING, arriving at Port Philip on 1 March 1857 (Amelia died in the Immigration Hospital in Melbourne 18 days later). It adds that Charles Frederick was the first of seven children Charles snr and Lucy had in Australia the others being: Joseph (1863-73), Lucy (1865-73), Henrietta Caldwell (1868-1945), William Henry (1870-96), Elizabeth Ann Miller (1873-1947) and Albert Doye (1876-1973). 1) William Francis ('Frank') Doye (1923-48) who was born at Wycheproof and enlisted in the Royal Australian Navy at Melbourne in May 1941. He served as a stoker throughout the war and was accidentally killed when he fell from a train near Melbourne's Hughesdale station in November 1948. He was then a leading stoker on HMAS Australia. His wife posted to following notice in the Melbourne Age on 16 November 1949: 'DOYE - In loving memory of my darling husband. Frank (R.A.N. ), who died result of accident, November 15. 1948 aged 25 years - Inserted by his wife. Peggy'. We don't know if Frank and Peggy had any children. 2) Joan Patricia Doye (1924-2017) who married George Leonard Scott in Melbourne in 1949. Although still to be confirmed, we think George was born in Melbourne in 1921, the son of George Scott, and served in the 2/23 Infantry Battalion from July 1942 until May 1946. 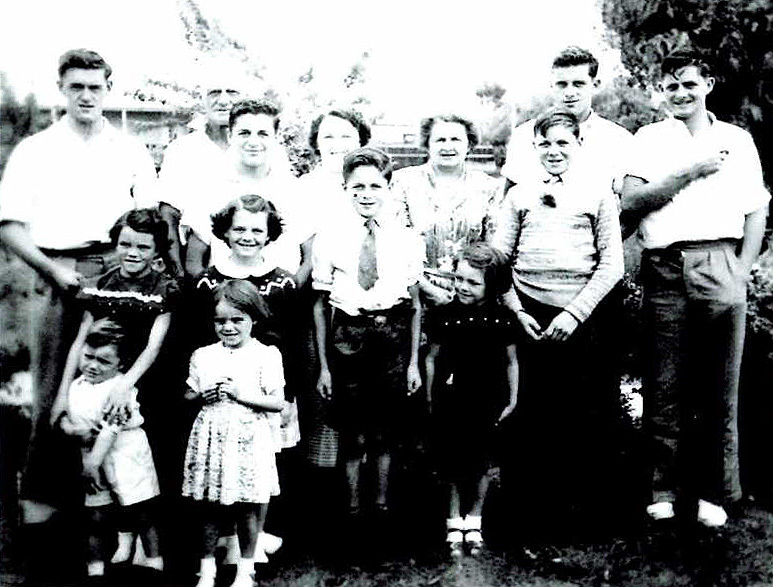 The Australian electoral rolls show George Leonard, a carpenter, and Joan Patricia Scott living with Joan's parents at 21 Blackburn Road in the Melbourne suburb of Blackburn in 1954. They and Margaret's mother are registered at 17 Craig Street in Blackburn South in 1967/8, 1972 (along with a Peter Francis Scott, draftsman), 1977 (along with Peter Francis, Michael George, public servant and Terrence William Scott) and 1980 (along with Anthony Leonard, bank officer, and Peter Francis Scott). The Springvale Botanical Cemetery records, show that a George Leonard Scott was buried there (R T M Pesscott Lawn, Row H, Grave 88) on 21 February 1991 and a Joan Patricia Scott, who died on 8 May 2017, was cremated there in accordance with Roman Catholic rights on 16 May of that year. 3) Although still to be confirmed, we believe William and Margaret's second daughter, Carmel Doye (1927-2009), married Malcolm Peter McLean (1926-2016). The Australian electoral rolls show Carmel and Malcolm, a retailer, living in the inner Melbourne suburb of Prahran in 1958 and Carrum in 1963 (Malcolm is then said to be a machinist), We haven't been able to find them after that although The Ryerson Index shows that a Carmel McLean, '82 and late of Barrack Heights' died on 21 October 2009 (Illawarra Mercury, 23 October 2009) and a Malcolm Peter McLean, '90 and late of Barrack Heights', died on 7 April 2016 (Illawarra Mercury, 12 April 2016). His obituary, published in the Illawarra Mercury on 12 April 2016, tells us Malcolm was the 'Dearly beloved Husband of Carmel (dec). Adored Dad and Father-in-law of Robert, Ian & Julie. Cherished Pop to his granddaughters Hannah and Emma. Sadly missed by Cathy, Malcolm and Madeline'. William Francis ('Frank') Doye (1923-1948). 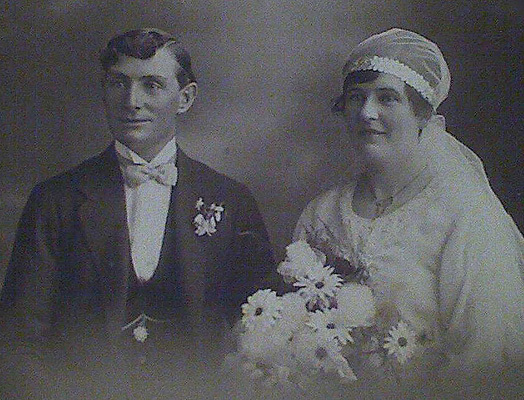 6) Michael Patrick Ryan (1898-1971), who is pictured with his father in the photo at the top of the page, married Annie Florence Cockfield (1905-70) in 1926. Their wedding photo is shown on the right. According to the 'Cockfield' and other family trees on Ancestry, Annie's father was Henry Rothwell ('Harry') Cockfield who was born at Creswick in Victoria in 1863, the eldest son of Hobart-born Edward Cockfield (1835-1905) and Kent-born Emily Millar who arrived in Melbourne from England in 1855 and married Edward at Waubra in 1864. Edward and Emily had four other children in addition to Harry: Richard Millar (1864-1934), Roland (1867-1954), Oscar (1870-1944) and Ida Cockfield (1874-91). Harry's grandfather, John Cockfield, was a Scot who was transported from London to Van Diemen's Land in 1829 after being convicted of stealing a box of clothes from his boarding house in Middlesex. Mr H. Cockfiold, a farmer, of Corack East, was the victim of a peculiar accident yesterday. He had sunk a hole on his farm in which to bury an old horse, and had led the animal to the spot prior to destroying it when he ventured too near the edge of the excavation, and the ground gave way. Man and horse fell into the hole, and Mr Cockfield received many nasty knocks and abrasions from the hoofs of the struggling horse. Luckily assistance was at hand and Mr Cockfield was rescued and brought into Donald for medical treatment. Susan died at Donald in 1944, the entry for her death in Ancestry's index of Australian bdms informing us she was the daughter of Andrew Haswell and Catherine Dodd. Harry died at Ballarat in August 1951. His death notice in the Melbourne Argus tells us he was the 'loved husband of Susan, loving father of Oscar (Melbourne), William (Donald), Alice (deceased), Cathrine (Mrs. Murray, Donald), Anne (Mrs. Ryan, Wycheproof), Hilda (Mrs. MacIntosh, Banyena), Roy, and Donald (Corack East)'. The Australian electoral rolls show that Michael and Annie spent their married lives at Wycheproof and Michael worked as a farmer at nearby Thalia. The 'Ryan Family Tree' on Ancestry and other sources tell us they had seven children: Mary Margaret Ryan who died at birth in 1927, Claire Therese Ryan (1928-78) who married Bernard Denis Keane (1924-85), son of Denis Patrick Keane and Bridget Cummins (1900-89), and had eight children and five others. Hilda, Roy (with Don in front of him) and Cathie Cockfield). The photo on the right shows the childrens' father, Harry Cockfield, in front of his farm stables. 7) James Joseph Ryan (1900-73). 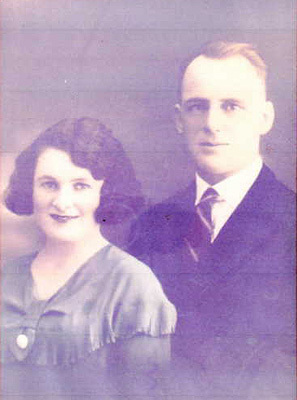 Born at Wycheproof on 22 February 1900, James married Elsie Frances Fradd (1914-97) in 1930. The White and other family trees on Ancestry tell us Elsie was born at Quambatook, the daughter of James Henry Fradd (1870-1933) and Charlton-born Sidonia Elizabet Schlitz (1844-1942). 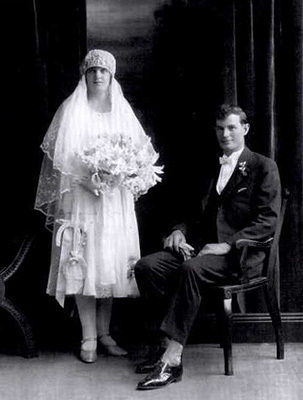 Married at Coghill's Creek near Ballarat in 1906, James and Sidonia had eight children including: Francis Richard (1906-82), Victor Alexander (1911-61), Sidonia Margaret (1912-74), Elsie Frances (1914-97), Dorothy Gwendoline (born in 1920) and Catherine Florence Fradd (1925-2014). James' father, Richard Fradd (1835-1914), was born at St Mawgan in Cornwall and married an Irish woman, Margaret O'Brien, at Ballarat in 1861. According to his obituary, published in the Quambatook Times on 2 December 1914, Richard arrived in Victoria in around 1858 and 'was attracted by the diggings in Ballarat. Subsequently he followed agricultural pursuits at Coghill's Creek, leaving there 40 years ago to select land at Glenloth, being amongst the earliest pioneers of this district. Mr Fradd's wife predeceased him by 17 years, and he leaves a family of eight sons and four daughters, as follows: Messrs Francis, Daniel and Samuel Fradd, Glenloth; Messrs Michael, Richard, Josiah and John Fradd, Teddywaddy; Mr James Henry Fradd, Quambatook; Mr William Fradd, Barraport; Mrs T. Howard, Glenloth; Miss Fradd, Teddywaddy; Miss Margaret Fradd, Glenloth; and Miss Mary Fradd, Barraport'. The Australian electoral rolls show that, from the time of their marriage until the early 1950s, James and Elsie lived at Wycheproof where James worked as a labourer. The Department of Veterans Affairs' nominal roll for WW2 shows that James served in the Australian Army from July 1941 until November 1945 at which time he was a Sapper in 2 Aust Main Platoon. He and Elsie seem to have separated sometime between the 1954 and 1963 elections. The rolls for 1963 and 1967 have James still at Wycheproof while Elsie, who was said to be working as a finisher, was living in the Melbourne suburb of Rosebud. The 1972 roll has James still at Wycheproof and Elsie Frances Ryan, now working in sales, living at 118 Moreland Road in Brunswick (along with a Brendan John Ryan, clerk). James Joseph Ryan died at Bendigo in 1973. The 1977 electoral roll shows Elsie still living on Gordon Street in Footscray. According to the 'Sarah Thomas Family Tree' on Ancestry, she died at Geelong in 1997 and is buried in the Altona Memorial Park Lawn Cemetery. A photo of the plaque on her grave is slightly obscured but, together with information obtained from other sources, indicates that she and James had ten children: Bryan (1930-1), Rodger (1931-2003), Wilma, Martin (1933-4), Lindsay (1935-2016), Victor, Beverley, Jennifer, Sharyn and Brendan Ryan. Sarah Thomas's family tree tells us these have produced at least 20 grandchildren including Gregory James Ryan (1962-83) who is also buried in the Altona Cemetery and whose plaque reads: 'son of Valerie and Victor and brother of Pam and Sharon'. 8) Certificates sent to us by Robert White show that Matilda Cecily Ryan (1901-31) married Edwin John Lindner, a farmer from Karyrie and son of Leopold Lindner and Johanna Caroline Kroschel, at Birchip in 1929 (the wedding was witnessed by Denis John Ryan and Gladys Hommelhoff nee Ryan). Sadly Matilda died two years later and is buried in the Horsham cemetery. She and Edwin had no children. 9) Robert Lynn ('Bob') Ryan (1902-84) and his twin sister, Bridget, were born at Wycheproof in 1902. Together with his siblings, Bob attended the Thalia public school, played football for both Corack and Narraport and worked as a farm hand on his family's farm. In 1928 his life was turned upside down when he was charged with the murder of his father, Martin Ryan, who was found dead, from a shotgun wound to the back of his head, in his car in a garage on the farm. As described above, the charge was later withdrawn not because Bob was necessarily inocent but the case against him was not considered strong enough to obtain a conviction. Bob was free but not exonerated. The police and possibly some in the community still considered him the prime suspect. Under these conditions it is not surprising that he decided to leave the district and its gossips. Bob seems first to have moved to Horsham where, according to the local newspaper, he was engaged to a 'Miss Kathleen Williams, of Horsham, daughter of the late Mr Williams of Birchip' (The Horsham Times, 2 May 1930). The marriage seems never to have taken place and Bob again moved on, this time to Sydney. 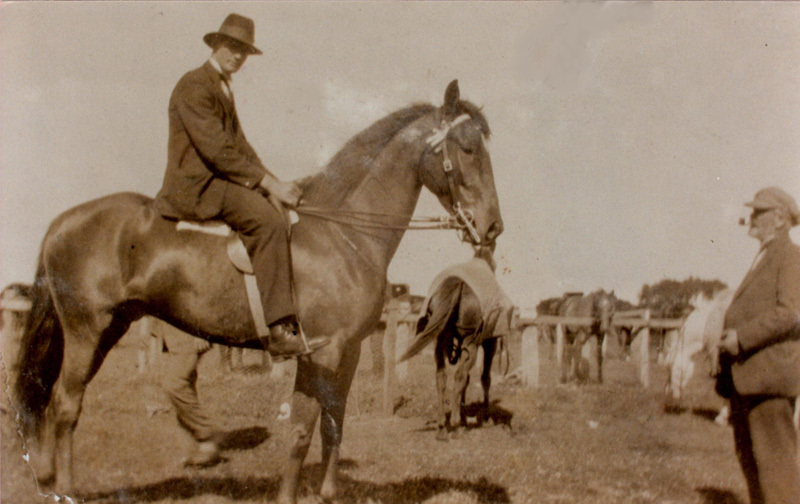 The Australian electoral rolls show a Robert Lynsey Ryan, farm hand, living in the Sydney suburb of Enfield in 1934 and then as a labourer at St Joseph's College at Gladesville in 1935 and 1937. While we cannot be certain this is our Robert, the possibility is enhanced by the fact he married an Enfield woman, Marguerite Veronica ('Marie') Snelson (1914-2001) in Sydney's Burwood district in 1943. Locally born, Marie was working as a shop assistant at the time of her marriage to Bob and living on Dean Street in Enfield with her parents, William Herbert Snelson (1882-1955), a tram driver, and Sarah Ann Heather (1882-1949). The Australian electoral rolls show that Bob joined them and he and Marie continued to live at Enfield after her parents' deaths there in 1949 and 1955. 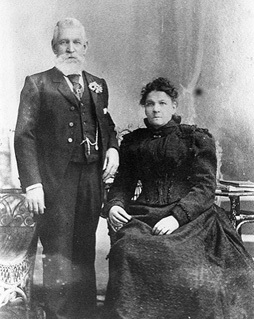 Marie's paternal grandparents were William Snelson and Mary Dooley who were married in Sydney in 1881. They had two other children we are aware of: Sarah Ann Snelson, who was born in 1884 and married Lawrence Faulkner in 1917, and Caroline T. Snelson (1886). Although still to be confirmed, we think William, who was originally from England, commited suicide in 1887. The Ryerson Index shows that a Robert Lyn Ryan, 'late of Strathfield South' died on 22 April 1984. Robert Shepherd's 'Shepherd Family Tree' on Ancestry tells us that Marie died at Strathfield in 2001 and that she and Bob had two children: Michael Gerard Ryan (1947-2007) and one other (female). Michael died at Cherrybrook in Sydney in 2007 and is buried in the Castle Hill cemetery. He and his sister were both married and together have provided Bob and Marie with three grandchildren we know of. 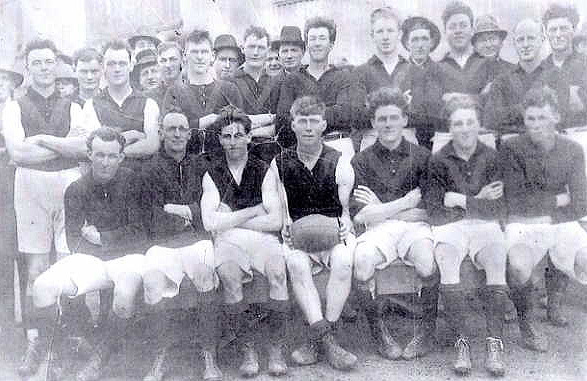 From the 'White Family Tree' on Ancestry, the photo is of the Corack Football Club in 1927.
and Martin Ryan (last on the right). Marie Ryan and Marie and Bob's son, Michael Gerard Ryan, and his daughter. 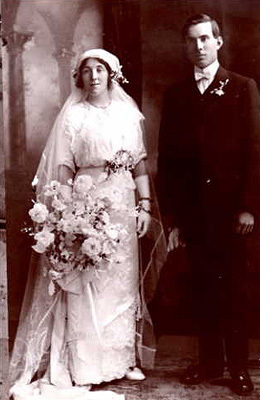 10) Bridget Ellen Ryan (1902-95) married Arnold John ('Jack') Schultz (1908-86) in Victoria in 1929. Born at Tocumwal in NSW, Jack's parents were Arnold Schultz (1875-1947) and Christina Louise Bromeley (1880-1934) who were married in Victoria in 1902. Arnold's obituary, published in the Cobram Courier in August 1947, tells us he was born at Colac in Victoria and came to Strathmerton as a young man to work 'as a sleeper cutter at the time of the railway extenson is this district. He married Miss Christina Bromeley at Yarroweyah and went to Tocumwal where he [worked] as a drover for over 40 years . . . Mr. Schultz went to Wangaratta four years ago and had resided with his son Arthur until the time of his death. He is survived by a family comprising Alan (Wangaratta). Jenny (Mrs. K. Fahey. Tocumwal), Molly (Mrs. Walsh, Daylesford). Jack (Wangaratta). 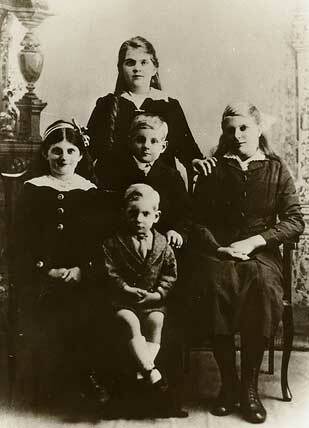 Arthur (Wangaratta), Jesse (Mrs. Day, Murchison), Olive (Mrs. Green, Melbourne) and Elma (Murchison)'. Arnold's father, John August Schultz (1849-1920), was born at Evangelisch Koschmin in Posen in Prussia and travelled to Australia with his family from Hamburg in around 1858. He married Mary Ann Carley (1852-1922), the daughter of a female Vandemonian convict, at Smeaton (near Creswick in Victoria) in 1872. They lived at Kamarooka and Strathmerton, where 13 of their 16 children were born, before moving to Beach Forest near Colac. In around 1918 they relocated to Tocumwal where John August died from a heart attack two years later. According to the Tocumwal Guardian and Riverina Echo (11 May 1917), 'a Private W. A. Schullz, formerly of Strathmerton and son of Mr and Mrs John Schultz, of Colac, and brother of Messrs. Harry and A. Schullz, of Tocumwal, was killed in action in France on Easter Monday. Deceased left Australia on 2nd November, 1915'. His military record in the Australian Archives tells us that William enlisted in Perth in July 1915 and gave his brother Arnold as his NOK. He sailed from WA as part of the 11th reinforcements for the 11th Infantry Battalion. After joining his battalion at Habieta he sailed for France in March 1916. William was wounded in action in France in February 1917 and spent some time in hospital suffering from shell shock. He rejoined the battalion in March that year and was killed a few weeks later by a shell burst as he was moving from the front to the support lines near Langecourt. He was buried where he was killed but it seems the body was never recovered and, like that of hundreds of others of his comrades, his name is recorded on the Villers Bretonneux memorial. The Australian electoral rolls show Arnold John, a butcher, and Bridget Ellen Schultz living at Murchison in Victoria in 1931 and Cobram in 1935/6 and 1942. The Department of Veterans Affairs' WW2 nominal roll shows that Jack enlisted in the Australian Army at Myrtleford in Victoria in November 1942 (his NOK was Bridget and place of residence Wangaratta). He served until November 1945 at which time he was a private soldier in the 6 Australian Field Workshops (AEME). The post-War electoral rolls show they continued to live at Wangaratta, where Jack worked as a greengrocer. They both died there, Jack in 1986 and Bridget in 1995, and are buried together in the local cemetery. Their headstone and other sources indicate they had nine children: Margaret Fay, Barbara (1930-2013) who we think married John Donald Harmer in 1948, Joan, Roma (1933-7), Arnold William ('Bill') who, like his father, worked as a greengrocer, John Desmond (1937-7), Angela, Arthur and Esme Denise Schultz who we think may have married a John Franklin and went to Canberra to live. came to Birchip with his parents some 50 years ago, when his parents took up land at Karyrie, and has resided there ever since, having carried on farming pursuits with a fair amount of success . . . Always particularly interested in district affairs, the deceased gentleman was for many years a member of the Birchip Agricultural Society and a prominent member of the Race Club. In 1903 he married Miss Mary Ann Coffey (Birchip) who with a family of eight daughters and three sons is left to mourn the loss of a loving husband and father. 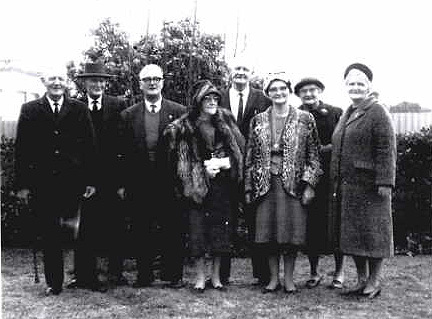 The members of the family are: Mrs F. Dodd (Nullawil), Mrs Austin Hogan (Birchip), and Misses Kathleen, Renie, Margaret, Laura, Irmilda and Patricia, and James, John and Frank. Deceased is survived by one brother Mr Edward Ryan (Nullawil) and Messes M. A., N. and A. Ryan; while three brothers Messrs John, James and Patrick and Mrs Lee, Gordons, Mrs Kierse, Potilla, and Mrs P. Coffey, predeceased him. Michael Ryan's parents were Tipperary-born James Ryan (1838-1912) who sailed to Australia in around 1855 and went straight to the goldfields at Mount Pleasant (Ballarat) where he married an Irish woman from County Clare, Mary Donnellan (1837-1911) in 1857. James died at Birchip in 1912. His obituary tells us he was 'in the best of health until the demise of his wife, which took place on December 31 last, and from that day he appeared to have suffered such a severe shock that he gradually sank, and passed away on Thursday last. Deceased was 70 years of age, and had resided in the district for over 40 years, a number of years of which time he resided at Mt Jeffcott. He leaves a family of seven daughters and four sons to mourn his loss'. Harry was fond of sport and was well known on the football field in his younger days having played for Narraport and Corack, and was very proud of his sons who have done a mighty job with the Birchip teams. It was indeed a wonderful gesture on the part of their team mates and members of the club forming a Guard-of-Honour at their father's graveside, which was very much appreciated by his wife, Kathleen, and his family. He leaves a devoted wife Kathleen, and a family of twelve, Eileen (Mrs D. Forde), Michael, Laurie, Leo, Ian, Mervyn, Desmond, Marie, Joan, Bernadette, Claire and Brendon, son-in-law Daniel, daughters-in-law Valerie and Carol and six grandchildren to mourn their sad loss of a much loved father, all of whom he was so very proud. The high esteem in which he was held was shown by the large crowd, some 400 cars following his remains to the Birchip Cemetery on Sunday, August 14, leaving the church after Requiem Mass. Harry was a staunch member of the Catholic Church always willing to do his bit, and he brought his family up as good church loving children. The Australian electoral rolls show that, after Harry's death, Kathleen continued to live at Birchip until her own death there in 1994. She and Harry had twelve children we are aware of: Desmond John (1946-66), Eileen Mary who we think married Daniel Bernard Forde, Michael Henry, Lawrence Patrick, Leo, Ian James, Mervyn, Marie Lorraine, Joan, Bernadette, Claire and Brendon Ryan. Laurie, Harry, Mervyn, Eileen, Desmond, Kathleen, Ian, Michael and Leo. Front: Marie, Joan, Bernadette, Claire and Brendon. 12) Gladys Veronica Ryan (1906-72) married Jack Hommelhoff (1904-66) - pictured in older age on the right - in 1927. Born at Ballarat East, Jack was the youngest son of Charles Hansen Hommelhoff (1867-1907) and Annie Nichaud Mentha (1872-1948) who were married in Victoria in 1895 and had three additional sons: Charles Neils (1896-1947), Philip Hansen (1899-1955) and Percival Talbot Hommelhoff (1901-30). 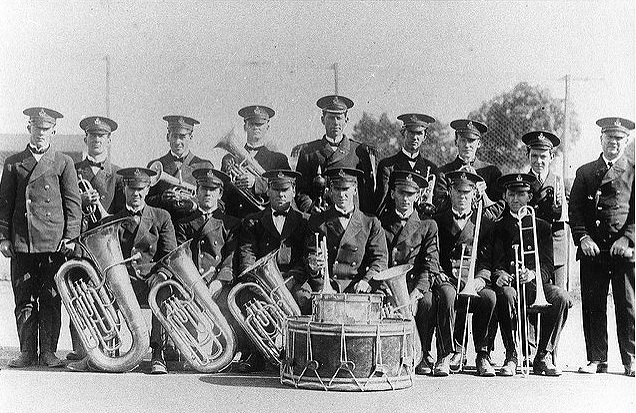 Jack and his three brothers are pictured in the photo of Wycheproof's brass band shown below. Jack's paternal grandparents were Neils Hommelhoff, who was born in Denmark in 1834, and Catherine ('Kate') Abbot, who was born in King's County in Ireland in around 1843. The 'Recyclingmary's family tree' on Ancestry tells us Kate sailed with her parents and four siblings from Southampton in England to Hobart in 1854. She married Neils in Victoria in 1866 and had three children in addition to Charles: Mary Hansen (1868-1951), who married George Parker in Victoria in 1891, Jacob Hansen (1871-1935) and Aida Hansen Hommelhoff (1873-1936), neither of whom married. We regret having to record the passing of an old Finley identity and pioneer in the person of Mr Jacob Hommelhoff, who met his death under tragic circumstances on Tuesday evening of last week, at Widgelli Siding, six miles from Griffith. The deceased was returning from Griffith with a two horse lorry loaded with fencing posts and wire. At the railway crossing leading to his farm it appears that he missed the track in the fading light and got on to the railway line. Swinging the team around to regain the road the lorry overturned, and the unfortunate man was pinned underneath the load, death appearing to have been instantaneous. Mr Hommelhoff, a native of Amherst, Victoria, was 64 years of age and unmarried. He was widely known through the Goulburn Valley and Riverina. As a shearer and teamster he was greatly renowned in his earlier days, and when 'Tuppal' was thrown open was one of the original selectors. By the steady application of his practical knowledge of farming he gained a place amongst the most successful wheatgrowers. In 1929 he purchased a property at Widgelli, near Griffith, which he worked until his untimely end. The deepest sympathy is extended to his surviving relatives, Mrs M. H. Parker, 'Brislington', Finley, sister; Misses Ada and Mary Parker, nieces; and Mr George Parker, Telephone Gate, Jerilderie. The remains were interred in the family vault at Jerilderie Cemetery on Thursday, Rev. Maitland, of Berrigan, officiating at the graveside (Jerinderie Herald and Urana Advertiser, 6 June 1935). 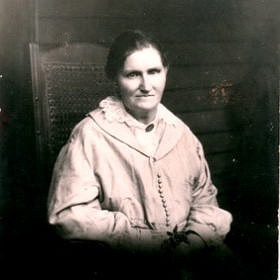 Mary Hansen Parker nee Hommelhoff died at Jeriderie in 1951. She was 83 years old and had lived on at 'Brislington Farm' until her husband's death in the mid-1940s. Her obituary tells us she was 'survived by a family of two daughters - Ada (Jerilderie) and Mary (Mrs. T. W. Sleeman, of Hermies, Jerilderie); and one son, George, of Epping, (Sydney), formerly of Telephone Gate, Jerilderie'. The Australian electoral rolls show that after their marriage in 1927, Jack and Gladys lived at Birchip, where jack worked as a clerk, and then nearby Charlton where Jack was employed as a butcher. The Department of Veterans Affairs' WW2 nominal roll shows that Jack enlisted in the Australian Army at Royal Park in Melbourne on 17 December 1941. He left the Army on 15 August 1948 at which time he was a sergeant in the 3MD Mobile Recruiting Team. Jack's nephew, John Charles Hommelhof, who was born at Wycheproof in 1924, enlisted at Greta in NSW on 6 May 1943 (his NOK was Charles Hommelhof). He was discharged on 26 July 1945 while serving as a Gunner in the 2/5 Australian Army Field Regiment. While Jack was in the Army, he and Gladys lived in the Melbourne suburb of Brighton. Sometime after 1954 they moved to Wycheproof where their older children where working and where Jack died in 1966. Gladys remained with her family in Wycheproof for a few years before moving to Bendigo where she died in 1972. She and Jack are buried together in the Wycheproof cemetery. 1) Jack Nills Hommelhoff (1931-2002) married Margaret Cecilia ('Peggy') Peter (1930-80) in Victoria in 1950. The electoral rolls show they lived all their married lives at Wycheproof where Jack worked as a butcher and Peggy died in 1980. Jack re-married and died at Bendigo in 2002. His death tribute published in the Herald Sun tells us he was still living at Wycheproof and was the 'Beloved husband of Margaret (Peggy) (dec) and Joy. Loved father of Peter, Brenda, Vicki, Tracey and Neil. Fond father-in-law of Greg, Glen and Kim. Fond friend of Liz and Graeme. Loved Pa of 17 grandchildren and 3 great-grandchildren. Flying On The Wings Of An Angel' (12 February 2002). 2) Yvonne Margaret Hommelhoff married John William Elder in Victoria in 1956 and died in South Australia in 2016. Her death tribute tells us she died in the Royal Adelaide Hospital and was the 'Loved wife of John William Elder. Dearly loved mother of Mark (dec), Caroline, Andrew and David. Cherished grandmother of Kaitlyn and Nichaud. Goodbye to a wonderful woman' (Herald Sun, 10 November 2016). 3) Bryan Percival Hommelhoff married Valda Orr (1930-2002) in Victoria in 1953. The Australian electoral rolls show they lived at Wycheproof, where Bryan also worked as a butcher. Valda died at Wycheproof in 2002, her death tribute informing us she was the 'Loved wife of Bryan (dec). Adored mother of Janeen, Sandra, Kerry, Perc, Rodney (dec) and Shane. Dear friend of their partners. Loved Nana of 9 grandchildren and 3 great grandchildren' (Herald Sun, 6 November 2002). A separate tribute by her sister, Joyce, provides us with some details of Val's own family: 'loved daughter of Frederick and Elizabeth, dearest sister of Fred, Eric, Len, Rich, Glad (all dec), Bill, Inez, Joyce and Alec, sister-in-law of Chris, Annie, May (all dec), Frank, Charlie, Ann and Wim'. and Charles Neils and Jack Hommelhoff (first and sixth from the the left in the front row). 13) Jane and Martin's youngest son, Francis Alphonsus ('Frank') Ryan (1908-73) grew up on his parents' farm at Thalia where he also attended primary school. In July 1917, like many children in the bush, he wrote to the Melbourne Advocate's 'Aunt Patsy' seeking to join her stable of 'nephews and nieces'. In it Frank told her and the newspaper's readership that he 'will be eight years old on the 1st August. I am in the second grade at school, and in the third class. We are milking three cows. I have eight brothers and five sisters . . . My eldest sister is married, and has three little boys. One's name is Marty, and one Artie, and the other is not christened yet. I have got a cat. I have threepence, and when I get a shilling I will send for a book. This is only a short letter, and I will write a longer one next time. I will now close, with love to captain and first mate, not forgetting yourself. I remain, your would-be nephew, FRANK RYAN'. We don't know if and when Frank wrote his follow-up letter or which secondary school he attended. We do know that, unlike most of his 14 siblings, he eventually elected to move away from the district and follow a teaching vocation. This saw him studying and then teaching in Melbourne in the 1930s before moving to the small town of Ballan near Ballarat. It is possible this is where he first met his future wife, Catherine Julia ('Katie') Frawley (1918-2008), who was then living at Gordon which is situated midway between Ballan and Ballarat. The Department of Veterans' Affairs WW2 nominal roll shows that Frank enlisted in the Australian Army at Bonegilla in Victoria on 14 January 1943. He was then living at Ballan and gave as his NOK Edward Ryan. He was discharged on 5 March 1946 at which time he was a signaller in 17 Line of Command Signals. The Australian electoral rolls show that after the war Frank taught at Welshpool and Mount Eccles (near Leongatha) in Victoria's Gippsland region. By 1949 Katie. who we believe had been partnered with an Edward Thomas Mahoney and had had a son with him, was living with her mother and uncle and his family at Gong Gong outside Ballarat. She and Frank, who had either met up again or had remained in touch, were married in 1952. Born in 1918, Katie was the only daughter of Michael Frawley (1864-1940) and Catherine Ryan (1876-1964) who were married at Ballarat in 1914. Catherine's parents were Martin Ryan (1834-1900), from County Tipperary in Ireland, and his second wife, Julia Crowe (1945-1919). Michael's parents were Michael Frawley (1827-83) and Bridget McMahon (1829-82), both from County Clare in Ireland. They had eight children in addition to Michael: Patrick, James, Elizabeth, Susan, Anne, Thomas, Catherine and Bridget Frawley. Their son, Thomas Frawley (1869-1955), was born at Bungaree, married Ellen O'Hehir (1870-1946) and farmed at Leigh Creek and Gong Gong where Katie and her mother were living at the time of the 1949 election. The electoral rolls show that Frank continued to teach after their marriage and that he and Katie lived at Creswick in central Victoria until the late 1960s when they moved to Southport on Queensland's Gold Coast. Frank died there in 1973 and was buried in the Southport Lawn Cemetery on 2 January 1974. His gravestone reads: 'In Loving Memory of Francis Alphonsus RYAN 1.8.1909 - 30.12.1973 [and] Christina Mary RYAN 17.5.1959 - 22.2.1995 beloved husband & daughter of Catherine loved father & sister of Raymond & Basil'. Ancestry's Australian cemetery index shows that Catherine Julia Frawley died on 18 February 2008 and was buried in the Southport Cemetery. Her gravestone reads: 'In Loving Memory of Catherine Julia RYAN 6.9.1918 - 18.2.2008 beloved wife of Frank dearly loved mother of Raymond, Basil and Christina rest in peace'. Go to the next member of Edward and Matilda's children, Edward Shepherd, and his descendants.